Create and manage users and the devices of your Ubidots powered IoT App with designated permission groups and Organizations. Giving users the ability to access your Ubidots powered App(s) is one feature that sets Ubidots apart from our fellow IoT Application platforms, giving you the competitive advantage to develop and deploy Ubidots powered Apps to end-users who can see and interact with the Admin built App. For example, in a Brewery, the shop floor supervisor might want his/her operators to have access to specific dashboards for daily machine uptime, but not the building's HVAC system as this is data for best serving the Maintenance team. With Ubidots' User Management, you can organize your account's data into separate groups called "Organizations", giving end-users access based on their roles within the company or project. Ubidots powered App(s) can also be branded with your company logo and domain. All Ubidots accounts begin with a single App that can be made available to users by way of a private App login portal. Each App, includes and follows the below hierarchical structure. Admin – person who creates and manages the Ubidots Account, its App(s), and its Organizations. 1 Admin possible per Ubidots Account. 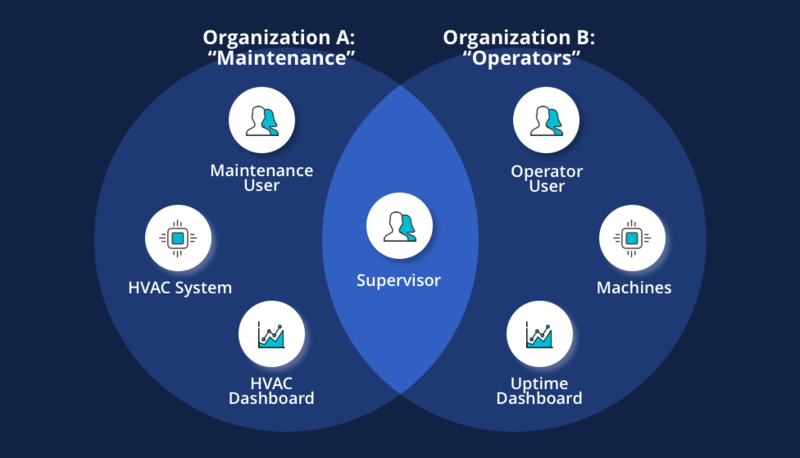 App(s) – single IoT solution containing dashboards, alerts, analytics, and organizations containing users with access permission in the form of a role. Organizations – different tranches of Users who have access to the data provided by the App, and controlled by the Admin. 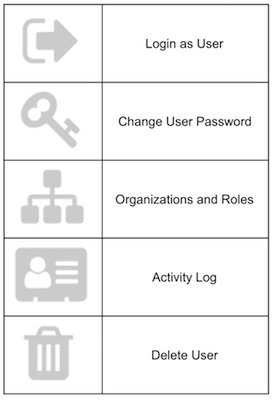 Roles – different authentication groups with designated permissions or restrictions to the tools, features, and data within an Ubidots App. Users – person(s) able to view an App's data and engage with Ubidots based on the particular Role that the users has been given. Different Apps allow Ubidots Administrators to brand or white-label two, or more, applications to be accessed by different end-users. All Ubidots accounts begin with a single App. To add a second App to your account, please request one in the Apps section of your Ubidots Admin Account. An Organization is a sub-division of any Ubidots App into different Users, Dashboards, Devices, Events and API Tokens. An Organization can be different customers, different departments of a business, or any other grouping of users, dashboards, and users. 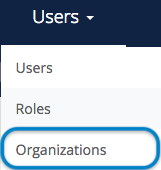 Select "Organizations" from the "Users" tab in the main navbar. Using the on-screen interface, add a Name and Description to your new Organization. With any Organization, you can effortlessly assign devices, events, dashboards, organizational tokens and users using the left-hand Organizational Management panel. Roles in Ubidots User Management are the different authentication groups with designated permissions or restrictions to the tools, features, and data within an Ubidots App. 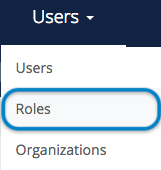 First, select the "Roles" from the Users tab in the navbar. 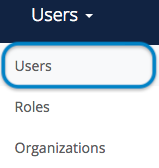 Click the "+" icon located in the top-right corner of the interface to add a new Role group. When editing permissions, you will see the "✓" next to any enabled permission. When an "X" is visible, the permission will not be available to the users assigned to this Role. Explorers: can create, edit, view, and delete dashboards and events. They can view the devices, variables, and values, but can't edit or delete these. Viewers: can view dashboards, devices, variables and their values, but can't create, edit, or delete them. Dashboard viewers: can only see data dashboards of their organization. Managers: can do everything an admin can do, except creating, editing, or deleting end-users. 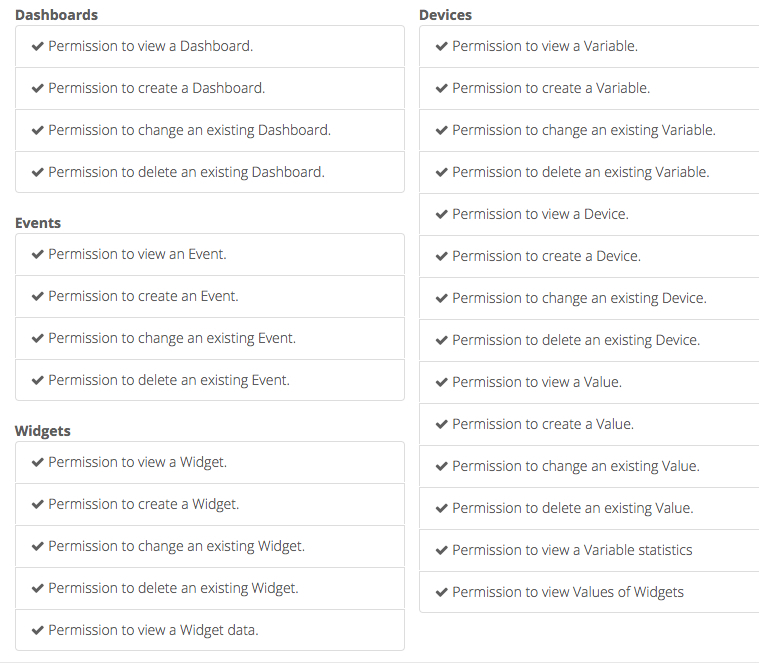 Create your own: using Groups, you can custom create end-user access permissions as you see fit. To edit & delete a Role, simply select the one the needed buttons from the chosen Role. Users are individuals able to view an App's data and engage with Ubidots based on the particular Role that the users has been given. Assign the Role (permissions group) for the user. When you create a new User, he/she can easily be added to an Organization from the Organization menu or from the User's setting options. After selecting an Organization for your User, you will be asked to specify its Role within the Organization. IMPORTANT NOTE: For billing purposes, a Device can be assigned to ONLY ONE Organization. Add any available device to the Organization. If the device does not appear in the available list of devices, the device has already been assigned to an different Organization. Step 2: Assign a pre-existing Device Group to the Organization of your choice. IMPORTANT NOTE: A Dashboard can be assigned to ONLY ONE Organization. If you want to allow a user to view dashboards, you can assign that user to multiple Organizations with the appropriate viewer permissions. Add any available dashboard to the Organization. If the dashboard does not appear in the available list of devices, the dashbaord has already been assigned to an different Organization. Select the "Organizational Tree" from the main control bar. Knowing a particular or all of your Organizations usage is essential for scaling, budgeting and billing for any integrator or Ubidots service provider. Export the monthly usage of your Ubidots powered App(s) simply from Organization Management section of your App. Select Organizations from the "Users" tab in the main navbar. 2. Request the "Export Organization data" button in the main control bar.